Missy Devereaux had hoped to escape her stalker, but somehow he’d followed her to Vegas. Having had enough, Missy takes the fight to him and chases John ‘Blinker’ Bayley down, confronting him in a casino parking lot with an able assist from a security guard. Later, jewel thief Marty Sallas has tracked down Molly Harbinger, a performer in The Beatles Retrospective show at the Mandalay casino, and breaks into her house. Marty was hoping to pinch the jeweled bracelet Molly had accepted from a wealthy man, but instead he sees a vicious killer claiming his lasted victim. Missy was a performer in the same show as Molly. Had her stalker targeted Molly by mistake? Is her stalker the serial killer who’s been slashing the throats of Hollywood starlets in the L.A. area? If not, then is the murder in Vegas a copycat killing? Thus, starts the latest entry in the FBI Thriller series by author Catherine Coulter. As the story shifts to Washington, D.C. and the FBI Criminal Apprehension Unit, it begins to set up two investigations. Like the TV series, CSI and its offshoots, Insidious sees two teams handling separate cases. Special Agent Cam Wittier is assigned to what becomes known as the Starlet Slasher case. “We have a Serial out of Los Angeles who broke pattern and jumped state lines. He killed an actress in Las Vegas Saturday night, and that make the whole business federal.” Cam is sent to “coordinate with all the various sheriff’s departments and the LAPD.” Her parents happen to be actors living in the Colony in Malibu and they knew one of the victims, Constance Morrissey. Cam will be partnering with Detective Daniel Montoya, the lead on the Morrissey case and the first to determine a serial killer was at work. In each of the five cases to date, including the Vegas one, the killer has swiped the victims’ personal laptops and cell phones. A curious souvenir of his crimes but one that makes it harder for the cops to track personal information (as Montoya later notes). Meanwhile, Special Agent Dillon Savich gets a call from Venus Rasmussen. The spitfire eighty-six-years-old is the iron lady of Rasmussen Industries and a mover and shaker in Washington, D.C. She believes someone is out to kill her. She’s had three violent bouts of stomach cramping that she believes were caused by poison. Her fear is that one of her family is responsible. All three times, Venus’ son Guthrie and grandson Alexander were present. Accompanying Savich to Venus’ mansion is his wife, Lacey Sherlock, also an FBI special agent. Venus was a close family friend of Dillon’s grandmother. Venus tells the agents that she hasn’t revealed her suspicions to her family as yet, but she’s realized her symptoms are consistent with arsenic poisoning. Just as Savich and Sherlock are leaving, shots ring out. Another attempt has been made on Venus’ life, but the agents nab the shooter, Vincent Willig. Clearly, he’s been hired to kill Venus, but he’s not initially willing to reveal who hired him. A fatal mistake. Complicating matters somewhat is the return of Robert Rasmussen, the black sheep of the family and second son of Guthrie. It’s been ten years since he’s been in contact with his family. But is his return related to the attempts on Venus’ life? Shifting back to L. A., Cam heads a conference with the lead detectives to determine what’s driving the killer and why he might be taking the laptops and cellphones. Later, she runs into Missy Devereaux, an old friend of Cam’s, who is just back from Vegas. Before it’s over, murder strikes in both cases. But in one case, there’s an anomaly. Could more than one killer be involved after all? Insidious is a fast-paced, quick read. At times, the dialogue seemed a bit off, not quite suiting the characters’ speaking the lines, but this is easily overlooked and a rather minor quibble. The intriguing storylines hold your interest as they shift back and forth between the two cases and hurdle you toward an exciting ending to find out whodunit in both cases. Definitely a page turner. And there’s two epilogues! One for each case. But is there a romantic happy ending for anyone? Read it to find out. On a side note, I should mention that one chapter opening threw me for a loop. “Gloria Swanson knew if she ever got famous enough to write a memoir, this day would rank right up there with winning her first Oscar.” It’s soon clear this isn’t the Gloria Swanson, but rather a budding actress that shares her name. In fact, the story references more than a few Hollywood legends, including Veronica Lake. Sadly, these may be lost on younger readers not familiar with the black-and-white era of films. Yet it may be a delight for those familiar with them. 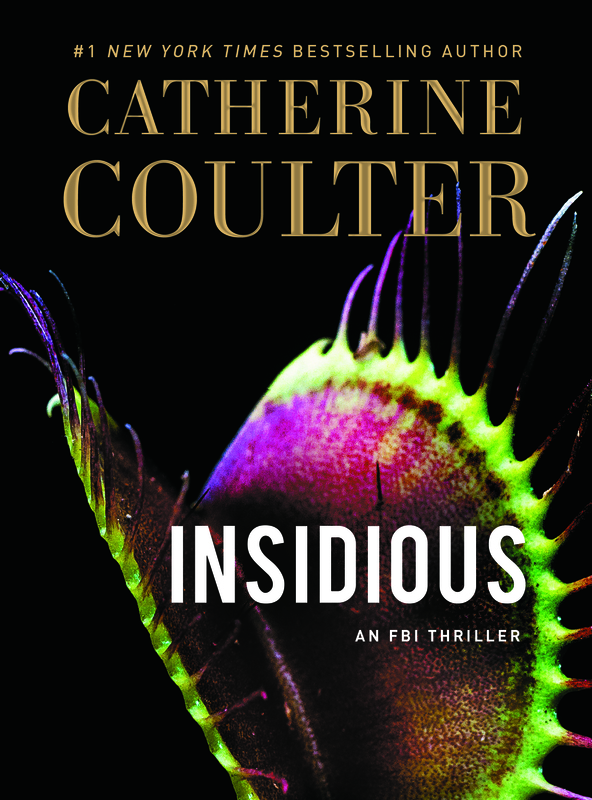 The latest FBI Thriller by Catherine Coulter released on August 9, 2016. Check out the author’s website for more information and to read an excerpt.